Q. 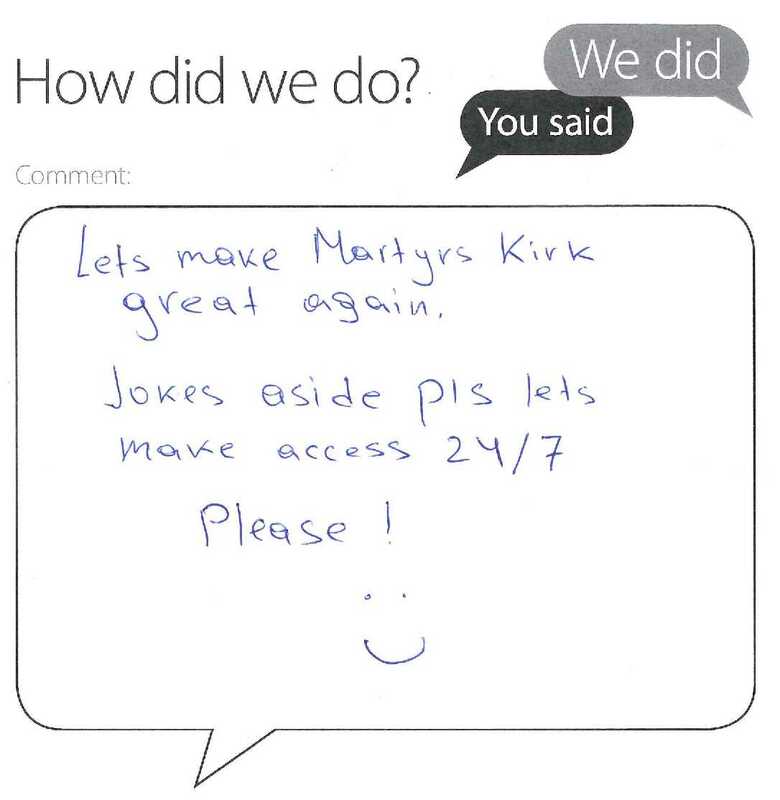 Let's make Martyrs Kirk great again and provide access 24/7. Thanks for filling in a Library comments card recently – my apologies for the delay in you receiving this reply. Yours is the first bit of feedback we’ve had in some years asking for Martyrs to be made 24/7 access and I’m afraid we have no plans to introduce this. Occupancy of Martyrs in the late evenings is currently not high enough to justify opening any later. Indeed, looking at last month’s figures (we take an hourly headcount every day we’re open), the most people observed after 10pm was 17 (less than half full) and after 11pm, it was a maximum of 9 people. 24/7 PC classrooms are available in Butts Wynd should you wish to continue working after the Main Library has closed at 2am.